I don’t always post my commercial work to the blog so I thought over the next few days I’d share a few images from some recent shoots. I really enjoy mixing commercial and marketing jobs into my portrait photography because it’s such a change of pace. For me, that kind of change really ignites creativity for my work as a whole. Working with a family, for example, my technical skills are on auto-pilot most of the time and I’m focusing on creativity, posing ideas, special authentic moments, ways to keep everyone happy and comfortable, etc. When I’m working on a commercial shoot I usually have a very specific shot list from the client (who is typically not present). Technical skills are the focus along with lots of attention given to the details of the list, the circumstances of the environment/subjects and the lighting set up. Depending on the shoot, the results might be glamorous (that time I shot for Kate Upton or Extreme Home Makeover) or they might not be (that time I photographed air conditioners…) Either way, I learn something with every opportunity and I’m enjoying the commercial side more and more. 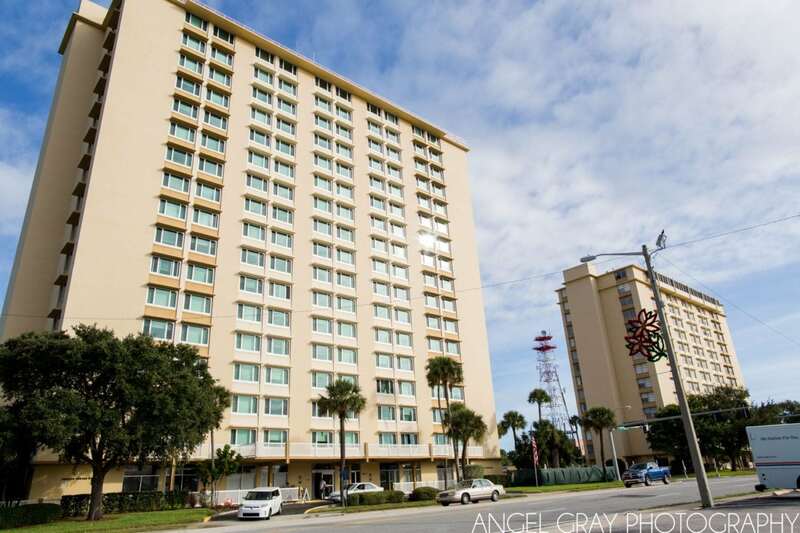 Last month I did some work in Melbourne FL at the Trinity Towers building, photographing air conditioners for Fujitsu. They needed these photographs for marketing because the installation was such a large scale and had a few unique aspects that are quite rare. I’ll do my best to explain… The goal was is to illustrate the installation of a large VRF (Airstage brand) cooling system. These are large, state-of-the-art HVAC systems being installed in a 17-story building. Instead of being installed on the roof or outside on the ground, the compressors have all been installed in converted laundry rooms with vents cut in the walls. Two compressors were installed on every floor in part of the laundry space. This is a huge change from the unit being replaced that sits on the roof and was the size of my living room. Now, every floor has their own unit and if it malfunctions in any way, the second unit picks up. Nice perk living in Florida! I worked with the management team from both Fujitsu and Hill York, engineers from GLA Engineering and Hill York installation technicians to cover the shot list. As a side note, the view of Melbourne from the roof of this building is pretty awesome. With no other high-rise buildings around it, you can see the whole town, ocean, river and city.